With its solid hardwood construction, Amish Conference Tables are ideal for large, upscale conference rooms. Up to 18 fully upholstered chairs fit around the oval-shaped table. 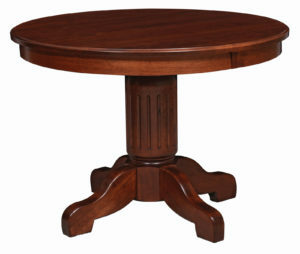 Also, other conference tables options are the triple-pedestal Executive Table and the double-pedestal Berkley Conference Table. 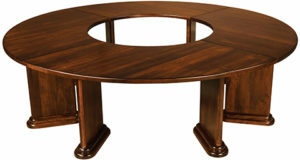 Top Amish craftsmen in the Midwest custom-build each solid wood conference table. Also, the Amish men use solid regional hardwoods. Like oak, cherry, maple and hickory. Plus, they build with traditional, tried and proven cabinetmaking methods. As a result, with proper care, the handcrafted conference table you select should last for generations to come. So call or email us at Weaver Furniture Sales. And speak with one of our friendly sales representatives about which Amish made conference table is the best fit for your conference room. You can order our Amish Conference Table, Executive Table or Berkley Conference Table as shown. 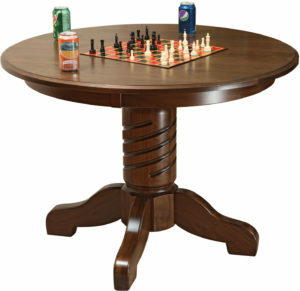 Or, we can customize the table you select to your specifications. In fact, you can choose the wood species, stain and size you desire. Plus the type of upholstery.